By Nick Ostdick. Jul 10, 2015. 9:00 AM. It’s how Inside the Actor’s Studio host James Lipton concludes each interview. A handful of questions adopted from famed French interviewer and journalist Bernard Pivot, Lipton’s inquiries are designed to not only entertain but also probe the psyches of his guests to discover what turns them on, turns them off, moves them, and makes them tick. Lipton gives a nod to Pivot as his inspiration for the final segment of each episode, and he also briefly acknowledges Marcel Proust — author of the seminal novel À la recherche du temps perdu, or In Search of Lost Time — who popularized the questionnaire in the early part of the 20th century and from whom the questionnaire received its name. According to NPR, the questionnaire was originally conceived in the early 19th century as a Parisian parlor game; however, Proust completed the questionnaire twice at ages 14 and 20 in order to examine his growth — or lack thereof — as a human being. 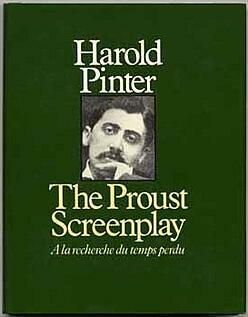 His answers, published under the title ‘Salon Confidences Written by Marcel,’ reveal much about the enigmatic author’s most inner thoughts on life, love, regret and art, subjects that populate Proust’s classic, serialized novel, which playwright Harold Pinter adapted for the screen in 1972. More than 100 years on, the Proust Questionnaire has left an indelible legacy. Vanity Fair has been publishing a modified version featuring celebrities, authors and newsmakers of the day for nearly two decades, and the questionnaire is often used as a character-development tool in creative writing and literature courses at the high school and university level. If the end goal of the Proust Questionnaire is some kind of internal self-discovery, it only makes sense to view Proust’s responses as a lens with which to examine the author’s inner workings. Below are some of Proust’s more interesting responses, ones that provide insight into his personal life, preoccupations, and themes that surface time and time again in his writings. Question: What is the military event you admire the most? Despite being sickly throughout childhood and most of his adult life — Proust died of pneumonia in 1922 at the age of 51 — Proust served one year in the French army from 1889 to 1890. 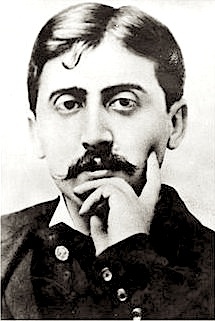 Self-characterized as undisciplined and somewhat foundering at the time, Proust credits his brief stint in the French army with providing him the focus necessary to compose several portions of In Search of Lost Time. Largely seen by his peers as a snob and ferocious social-climber, Proust’s time in the military and reentry into civilian life play heavily into the themes and concerns of several early volumes of In Search of Lost Time. Answer: The beauty is not in the colors, but in their harmony. Known for his dense, voluminous prose-style, it’s easy to see how this response plays right into the way in which Proust employed language. Perhaps less-focused on individual word choice and more on the way in which each word works with the next in the context of a sentence or thought, much of the joy of In Search of Lost Time is reading the text slowly, savoring each line, dissecting it, and ruminating on the interplay of each image Proust creates. In fact, the opening moments of Pinter's screenplay, in an effort to authentically capture the mood of the novel, are comprised solely of evocative imagery: "Yellow screen. Sound of garden gate bell. Open countryside, line of trees seen from railway carriage." Question: What is your main fault? Much of the themes of Proust’s masterpiece center on memory — how time passes, can slip right by, and how we orient ourselves in the world. Told in seven parts, the 3,200 page epic features attempts to encapsulate the entire life of the narrator, aptly named Marcel. In Search of Lost Time focuses not on plot or action, but on the inner-most desires of the characters, their psychology, the way they process the world around them, and ultimately what they choose to remember and why. In simplest terms, the novel’s central theme pivots on what do human beings really want out of a life and why, and the choices they make to make those wants a reality. Interested in taking the Proust Questionnaire yourself? Here are a few questions to get you going.